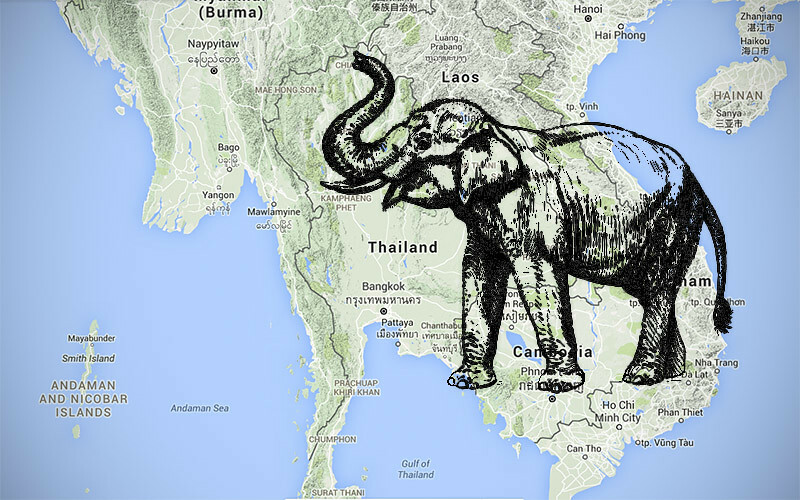 Elephants have had a long history in Thailand, and not exactly a happy one. From very early on, they were captured and domesticated for military and logging use. But in 1989, due to rampant deforestation, the Thai government banned logging, which put many of the elephants out of a job. This coincided with the rise of tourism in the country, so these unemployed elephants were retasked and put to work in camps as entertainment. Neda has done a lot of research into this because this is something we both wanted to see while we were here. We discovered that elephants in these camps are horribly tortured to break their spirit in order for them to be obedient enough to train. Baby elephants are taken from their mothers at birth and are confined to a tight space, like a cage or hole, so they cannot move. They are then beaten with clubs, sticks and bull-hooks, deprived of food and sleep until they become broken. Then they are trained to allow people to ride them and perform acts which are unnatural to them ie. circus tricks like painting. 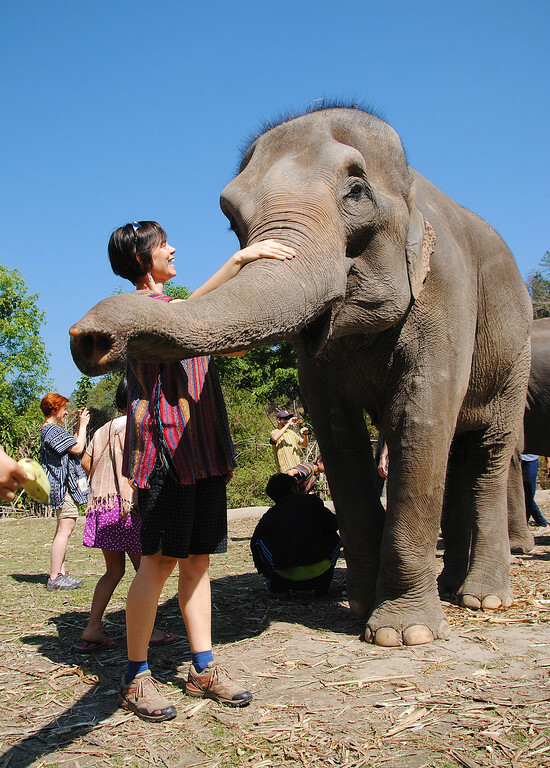 Everyone wants to ride elephants, thinking that they are large creatures and they should be able to bear the weight. After all we break horses and ride them, right? This is only partially true, though. 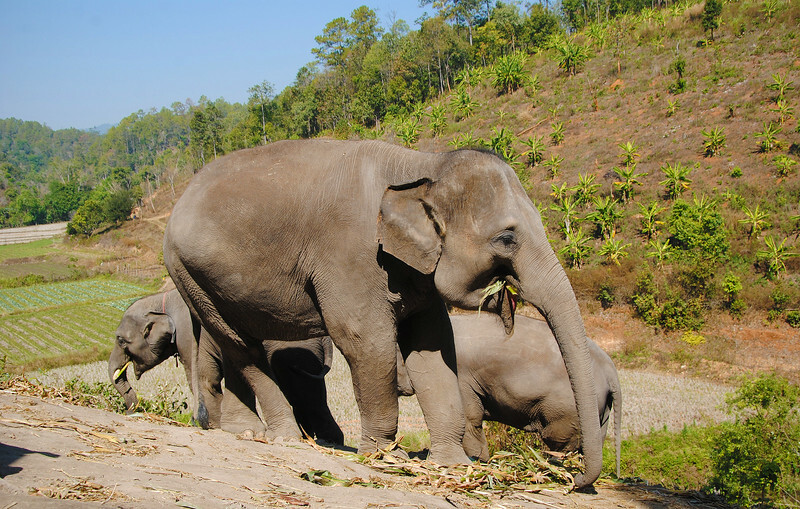 Mahouts (elephant trainers) ride their elephants on their neck where there is less strain. But the elephant in the tourist work camps are forced to carry tourists in a saddle right on their back, which was never meant to bear that much weight. This puts considerable strain on their spine and causes irreversible damage over time. "How do I make myself irresistible to elephants?" We've decided to visit a rescue centre called Elephant Jungle Sanctuary. 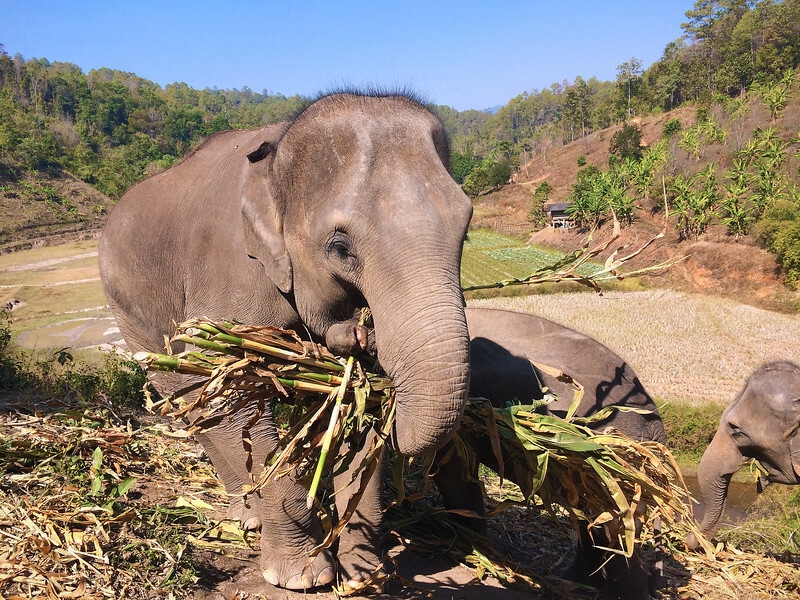 Their mission is to purchase elephants from the surrounding tourist work camps and provide a safe place to live out their days. Their number one rule is "no riding elephants". We like this a lot better, despite knowing that these are "broken-in" elephants that have been mistreated in a past life, that we are not causing further harm to them. Ni-Na's mother died so she was being looked after by her aunt. 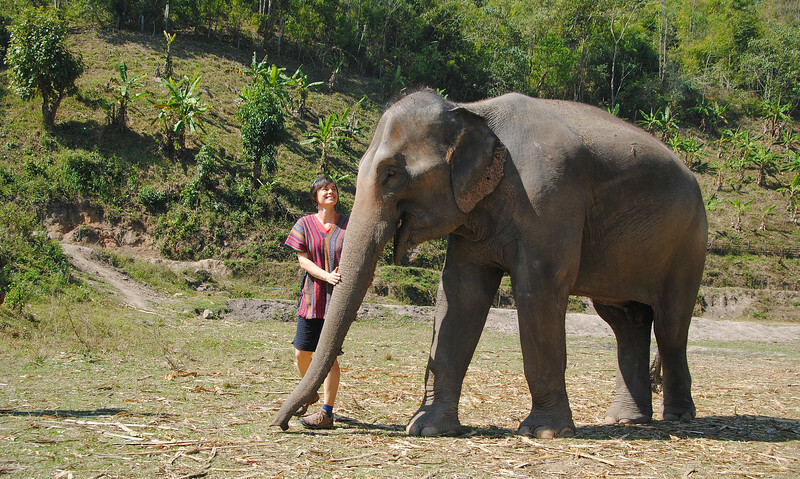 She worked at two tourist camps before being rescued by the Sanctuary. 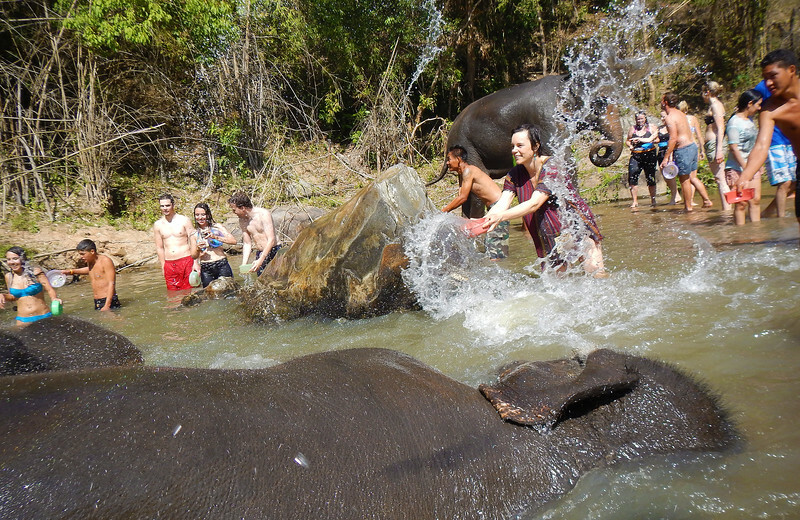 There were five elephants at the location we were at. 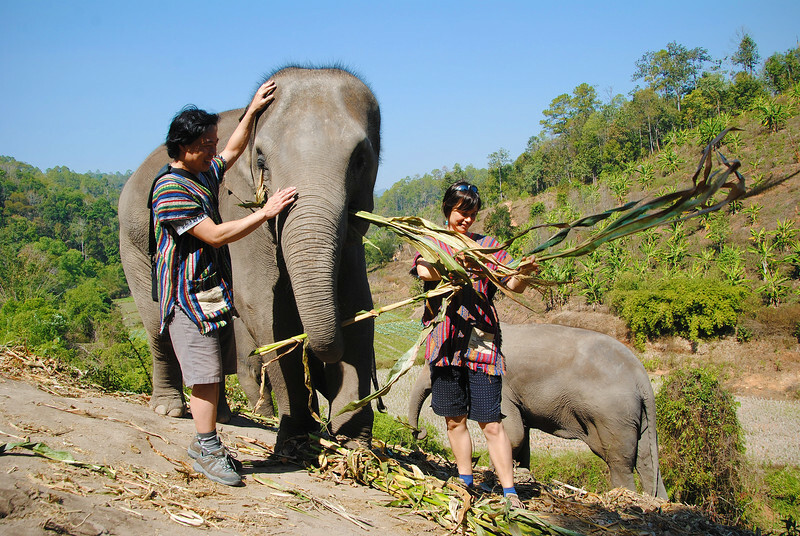 Elephant Jungle Sanctuary owns three locations with about 17 elephants in total. 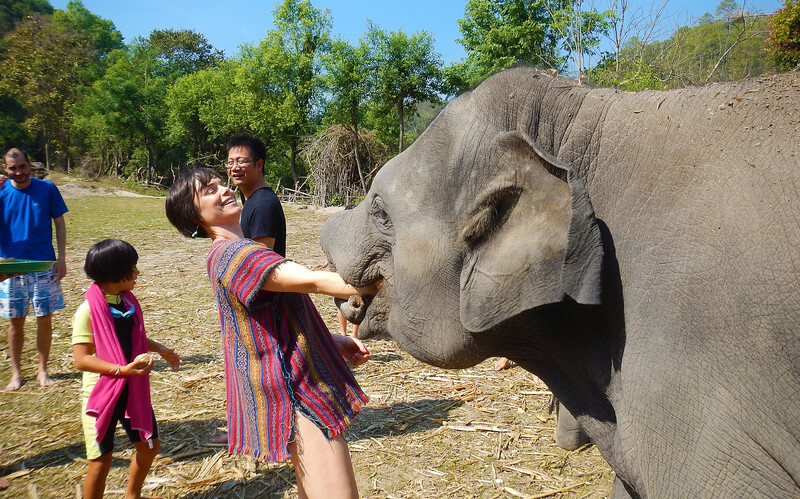 I've never spent any time with an elephant this up close before. Just by description alone, elephants should not be cute animals. Tough, grey wrinkly skin. Sparse, prickly hair. Lumbering around ponderously. They're like fat, old men. But it's all the tiny details, the comically floppy ears, the incredible dexterous trunk that is as agile as any human hand, the little fly swatter on their tail and the adorable eyelashes... it's totally the eyelashes that make you fall in love with them. I'm not naive, I know the main reason why these elephants tolerated our presence was because the work camps had previously broken them. If these were wild elephants, they would want nothing to do with human beings. 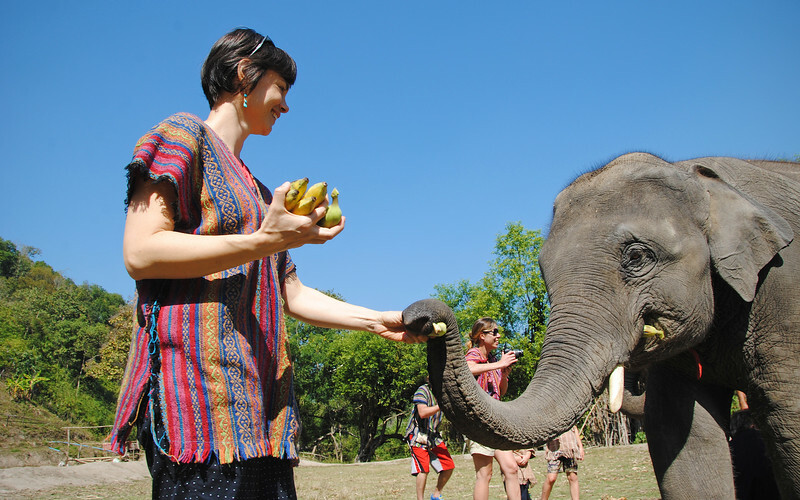 Also, I don't know how the sanctuary treats these elephants after the tourists leave. Are they still disciplined? Although there are fences around the very large space they can roam around in, are they still chained up at night? The location we were at is called Tranquil Valley. 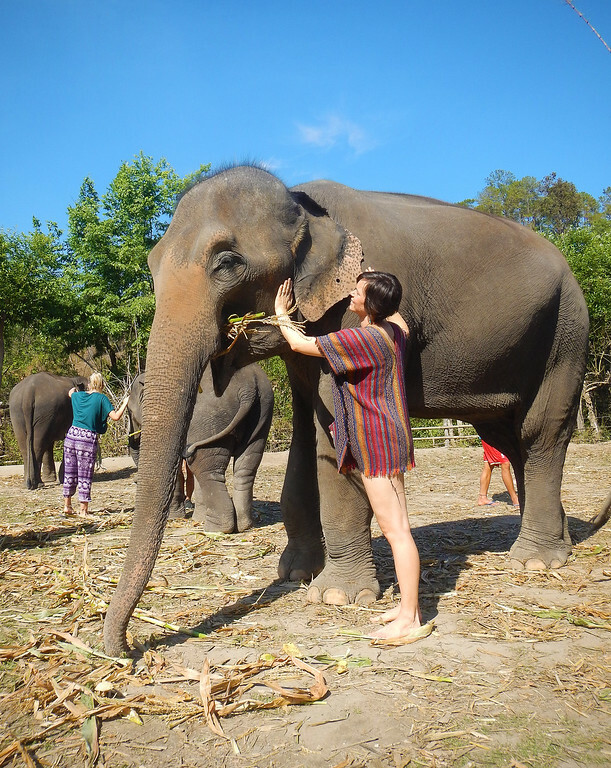 The elephants have free roam of the compound which is 50 acres. 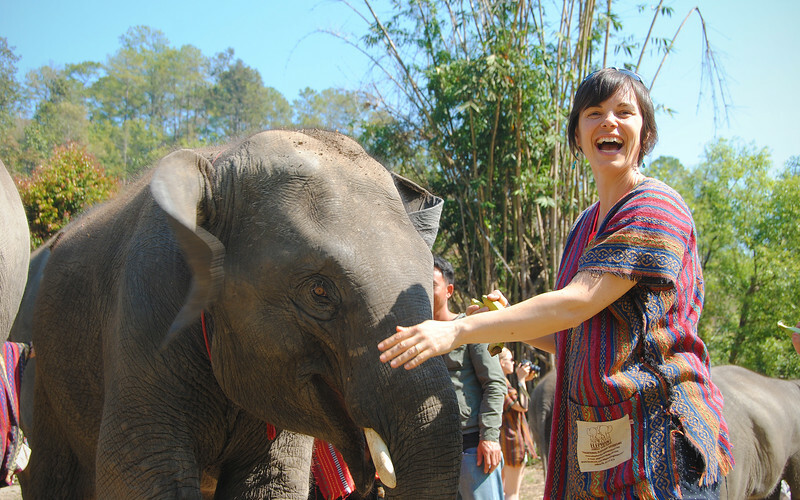 Despite my cynicism, while we were there, the elephants were very well treated. They basically ate non-stop, requiring about 150kgs (330lbs) of food every day. They were not beaten or ridden or forced to paint or perform for us. 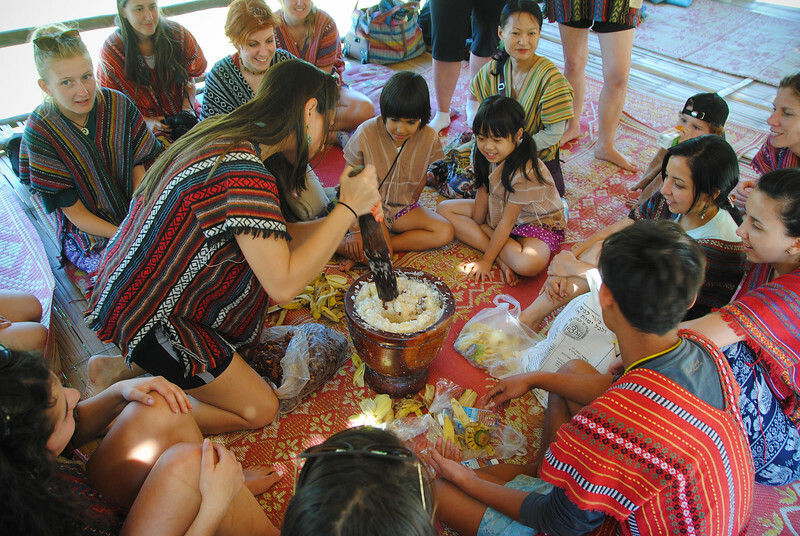 Their primary motivation to do anything was food, which is a good positive reinforcement over the threat of a bull-hook to the face (or other sensitive parts of their skin). I felt good about being there and feeding them. 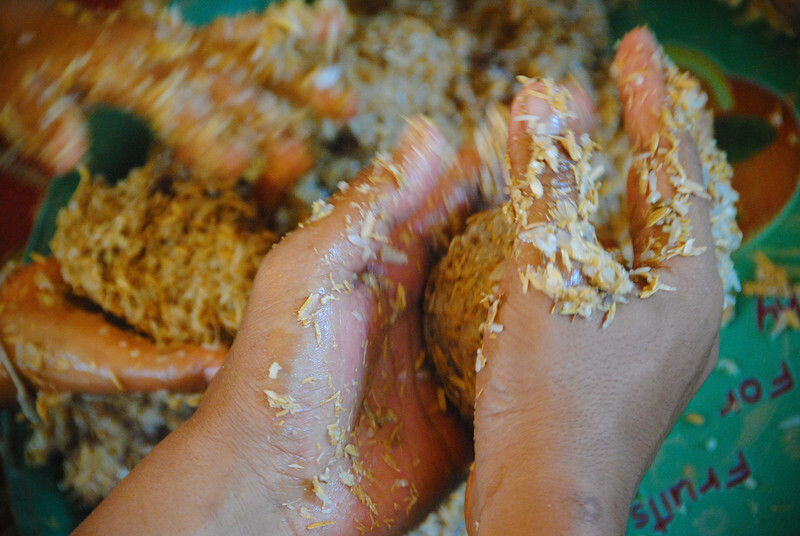 Then the paste is mixed with grains, rice and salt. 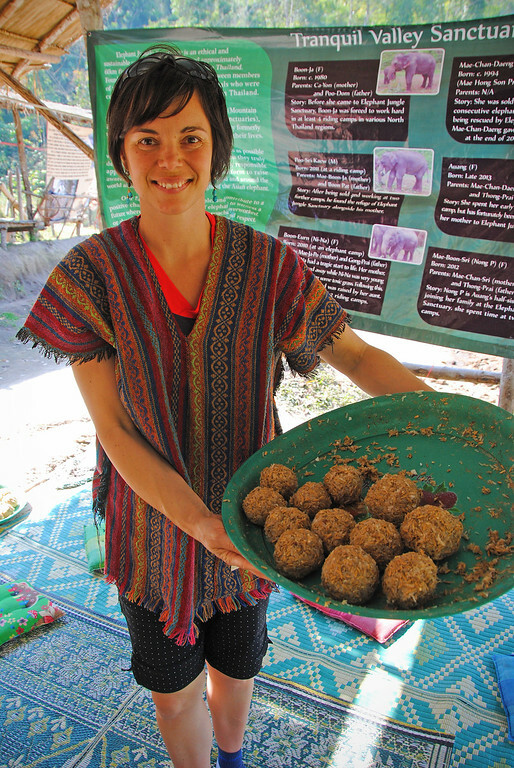 These tasty treats help the elephants with their digestion. They are also sometimes used to hide real medication in case any of them get sick. 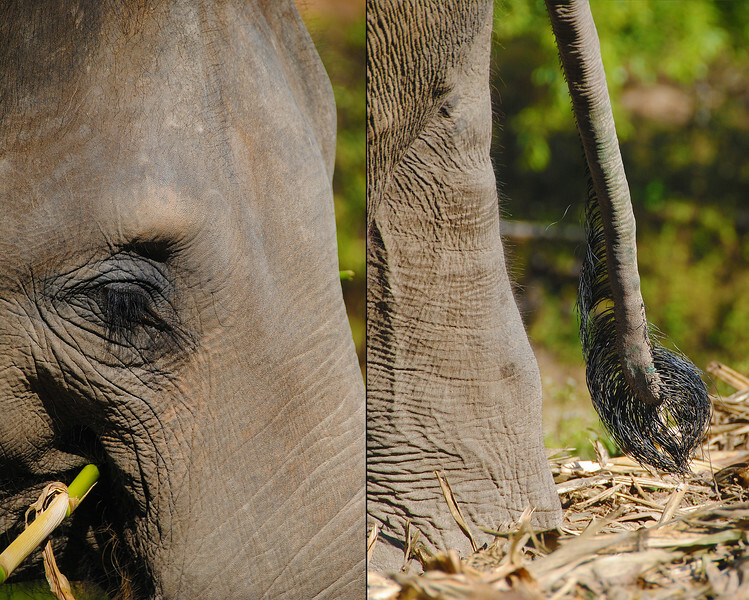 Elephants have a very good sense of taste and smell and will refuse to eat any medicine unless it's well disguised. I think rescuing elephants from the riding camps is a noble endeavour. 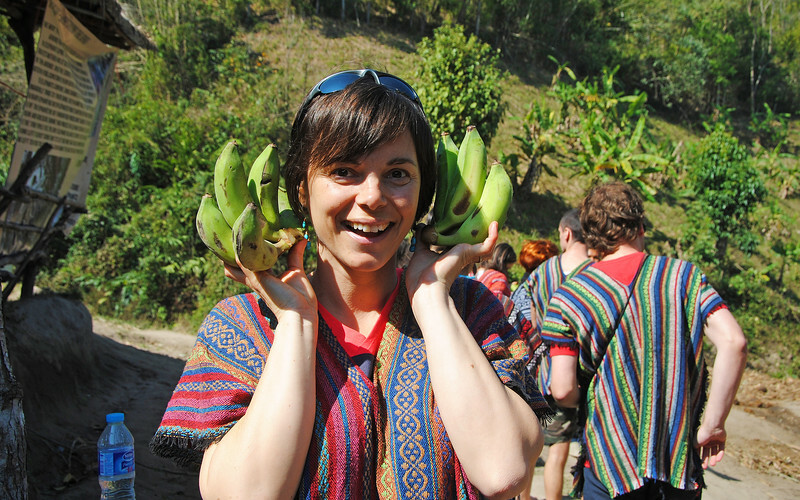 It's uplifting to see how this new wave of ethical tourism rising is gaining popularity, allowing these companies to provide a service that doesn't cause any additional harm to nature. We saw the same thing in Iceland where old whaling boats have now been converted to accommodate whale-watching tours. 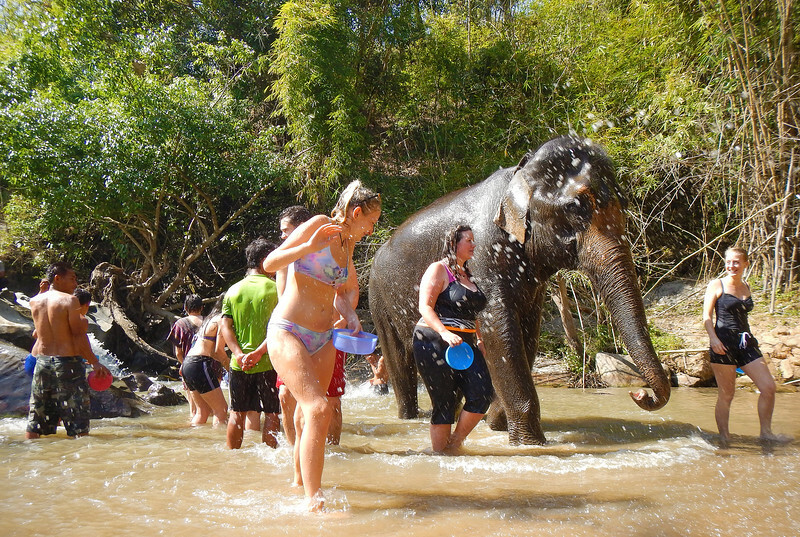 Obviously humans have displaced the elephant population from their natural habitat, but if we can at least alleviate the suffering that the tourist work camps have inflicted on some of these domesticated elephants, at least that's a start. 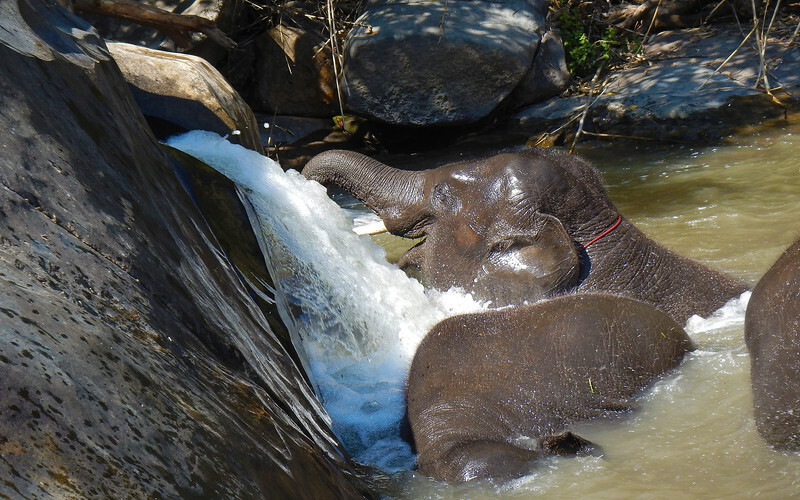 And also spread the word about the damage that riding elephants can cause. Bye-bye Ni-Na. You'll always occupy a warm place in Neda's heart!